A few years ago, legs were the Harrison Twins' weakness. Thanks to this high-volume workout, legs are now one of their strengths. Put your own wheels to the test! You should always reach a point in your workout when you feel like you can't go on. If you're not failing, you're failing. In that moment, when doubt emerges from exhaustion and pain, you begin to grow physically and mentally. The sissy squat gets us to that breaking point! 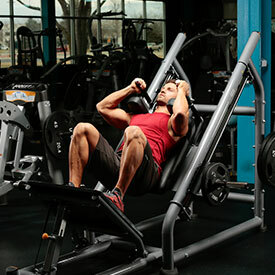 We hit the exercise immediately after the leg press and hack squat, so there's no time for the muscle to rest. All muscle fibers in the legs engage! We each have our strengths, but with the squat, there's no real difference in how it affects us—we both gain from it. Look at our legs—they're exactly the same. We are twins, after all! We both train for aesthetics. Weight training helps to create mass, but when training for aesthetics, nutrition takes precedence. We watch our diets intently. We make sure our carbs are timed appropriately. We eat our main portions of carbs after training, and take advantage of the spike in insulin to help shuttle carbs into the muscles so we don't store it as fat. Protein pasta is one of our favorite meals—not only do we get the carbs our bodies need, but we also get extra protein! It's a quick meal, and we often have it with a tin of tuna mixed through. Increase your protein whenever you can. 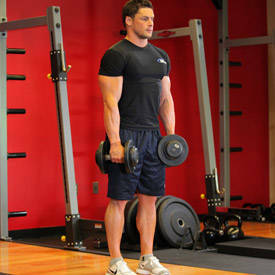 We concentrate on contraction, time under tension, and correct tempo to gain aesthetics and muscle. We try to stay away from carbs a few hours before we hit the gym, which allows our bodies to use stored fat to help fuel us through our workouts. That's how we get the look we want. We train hard and eat well. Bottom line: We are never, ever satisfied. That's the key to maintaining our aesthetic. We try to achieve the same look, because we are twins and that's our brand. So we don't put a ridiculous amount of weight on the bar. We don't try to overload the bar. 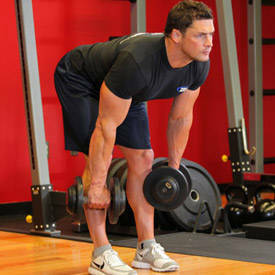 We concentrate on contraction, time under tension, and correct tempo to gain aesthetics and muscle. You'll notice that all the exercises in our leg routine include tempo. MyPre, the pre-workout from Myprotein, gets us jacked! We love that energetic feeling headed into our leg day. 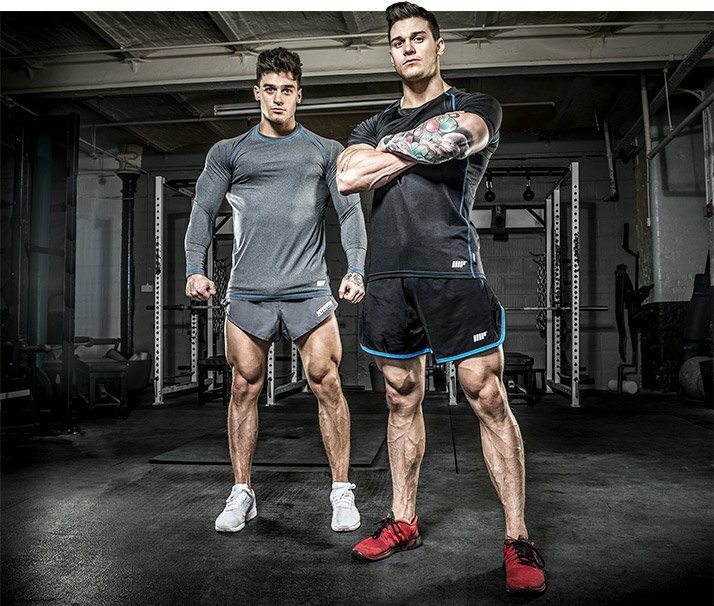 We both take it before we train, and by the time we step up to that warm-up set, our whole world compacts into the squat rack; there is nothing else. The combination of creatine, caffeine, and beta-alanine found in MyPre supplies the load of energy we need to complete this leg workout with the required intensity. We take protein throughout the day to maintain rates of protein synthesis necessary for muscle building and retention. We learned long ago that the pre is not enough. Yes, it gets you going, but energy needs to be paired with recovery. During workouts, we consume BCAAs for extra energy and a jump-start to recovery. 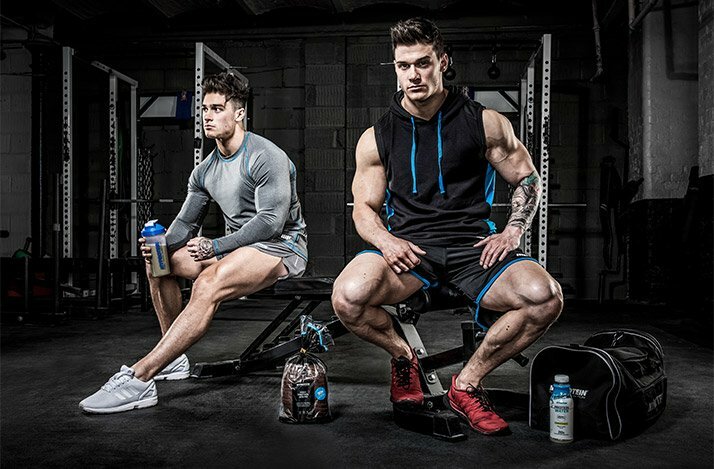 The second half of recovery includes Impact Whey Protein after each session. We also take protein throughout the day to maintain rates of protein synthesis necessary for muscle building and retention. We have a love/hate relationship with squats. Some days, we just have to slug it out and push through it. We don't squat heavy. We like to hit volume with our legs, so loading up the bar till it bends is something we just don't do. We aim for high repetitions and good contractions. 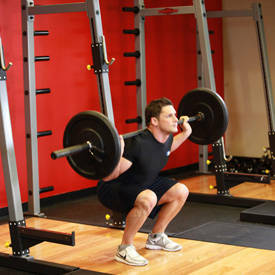 We start with lightweight warm-up sets of squats and leg extensions for some pre-exhaust. The first working starts with squats and vertical leg presses, because they're some of the best exercises to get the legs poppin' right off. 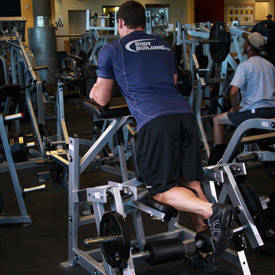 We follow those with a quadriceps triset, including that breaking-point sissy squat, to get our legs burning. 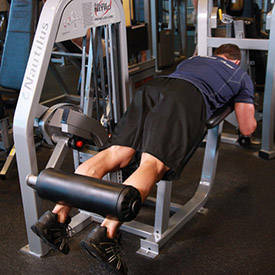 Hamstrings come next, in a second consecutive triset, for a continuous burn of the posterior chain. The quad extension is one of our favorite exercises for the legs because it comes near the end of our workout, and we finally get to sit down! The quad extension is one of our favorite exercises for the legs because it comes near the end of our workout, and we finally get to sit down! 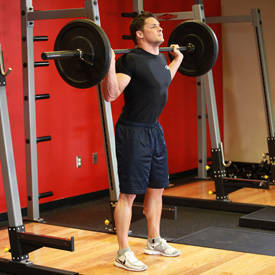 To get that coveted tear drop on your vastus medialus, lock out and hold the extension, then do a slow eccentric phase. 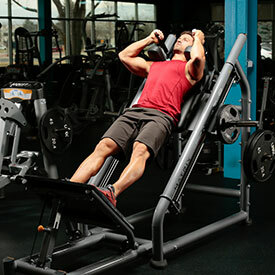 Pair it with the lying ham curl and you've got a classic superset. We finish with a superset of calf presses to burn off the last of our energy. 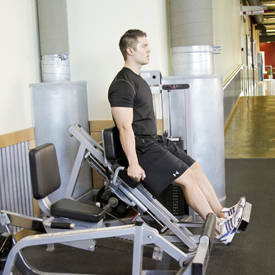 We make sure to incorporate both straight-leg and seated calf presses to hit both the soleus and gastrocs. 3 sets of 12-15 reps, 3:1:2, rest 30 sec. 4 sets of 10 reps, 3:1:2, rest 2 min. 3 sets of 10 reps, 3:1:2, rest 2 min. 4 sets of 10 reps, 2:1:2, rest 90-120 sec.